RBC Royal Bank held its 4th Annual RBC Client Appreciation & Invitational Golf Tournament March 25. Participants, including RBC clients and business partners, enjoyed a day of exciting golf and friendly competition at the Ocean Club Golf Course. 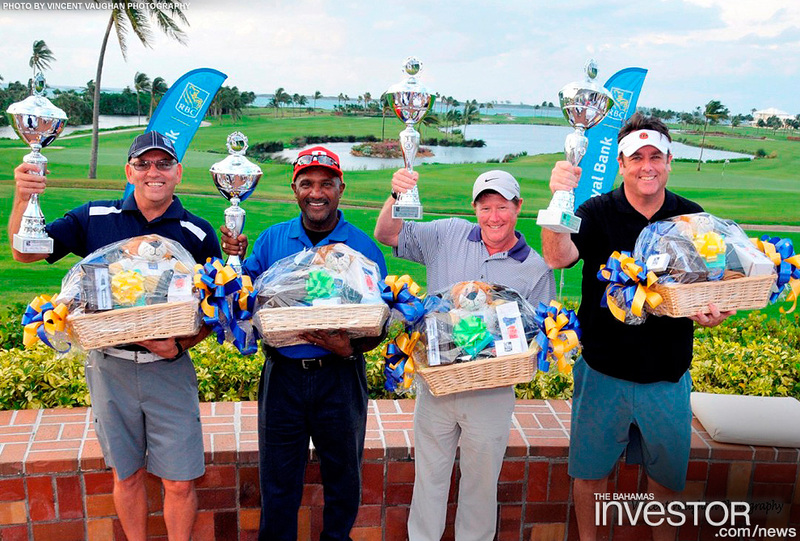 RBC established the tournament as a way to thank clients and make a significant impact on local charities. 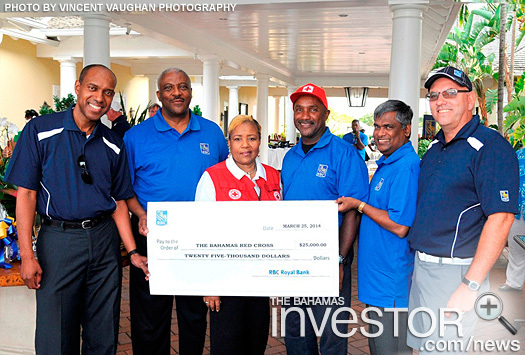 This year, RBC and tournament participants raised $25,000 for The Bahamas Red Cross. Immediately following the tournament, participants were hosted to an awards dinner. Brian Knowles, vice president, Corporate Banking and tournament organizer, explained that the tournament has been a great vehicle for RBC to extend further support to the community. 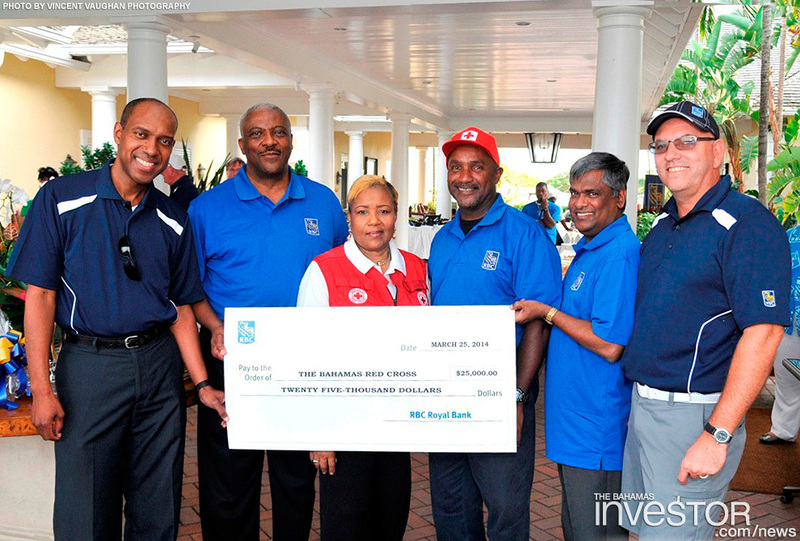 “Since the tournament’s inception, RBC has donated over $85,000 to local charities. Each year a local charity is selected based on the focus of the charity’s work and its ability to strengthen the social fabric of The Bahamas. 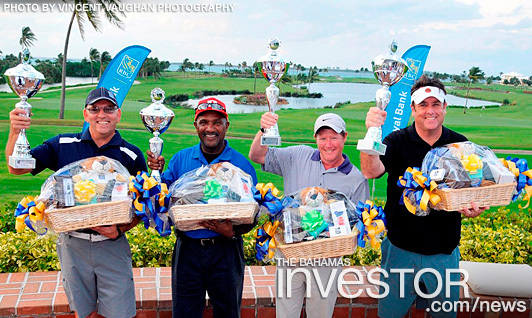 One hundred per cent of the proceeds from this year’s tournament will go directly to the Bahamas Red Cross,” he said. Craig Tony Gomez, president of the Bahamas Red Cross, received the donation on behalf of the organization during the awards dinner. This year the event drew 60 golfers. Chairman of the Bahamas Chamber of Commerce and Employers Confederation Chester Cooper says that fiscal and tax reform are critical to bolstering the economy. Watch a ZNS Network news report here.